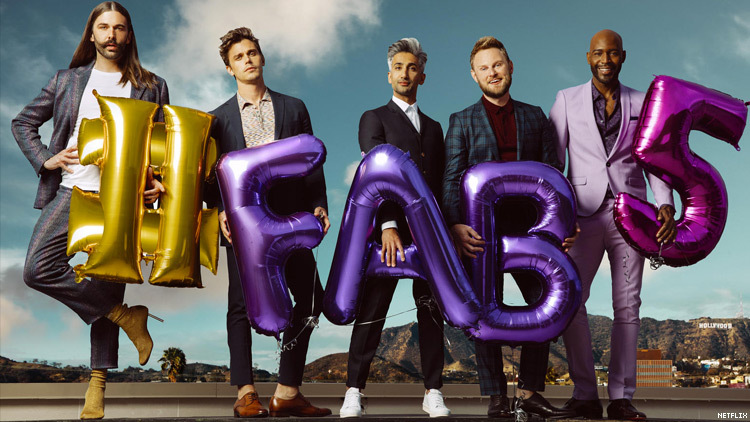 Promoting Queer Eye's second season — and the arrival of Pride — the Fab 5 team up with Betty Who for a glamorous new clip. With the arrival of Pride and the second season premiere of Queer Eye on June 15, the Fab 5 teamed up with Australian musician Betty Who for a glammed-up take on their "All Things" opener. All five stars of the Netflix reboot — Jonathan Van Ness, Antoni Porowski, Tan France, Bobby Berk, and Karamo Brown — appear in the clip, which features the guys luxuriating among fancy vehicles, tissues, and avocados. Watch below.